Title NoteTitle based on contents of the fonds. Administrative/Biographical HistoryThe Yom Hashoah Holocaust Remembrance Committee of the Canadian Jewish Congress was founded in 1952 as the Warsaw Ghetto Memorial Committee with the purpose of honouring the memory of those who died at the hands of the Nazis in the Warsaw ghetto uprising. In 1978, Rob Krell and Paul Heller negotiated a name change to reflect a recognition of all those who suffered in the Holocaust. The Committee organized an annual memorial evening on Yom Hashoah (Holocaust Remembrance Day) and sponsored other community events related to education and awareness about the Holocaust. The relationship between the Yom Hashoah Holocaust Remembrance Committee and the Canadian Jewish Congress transitioned in the mid-1980s, when responsibility for the administration of the committee moved to the Vancouver Holocaust Education Centre Society. 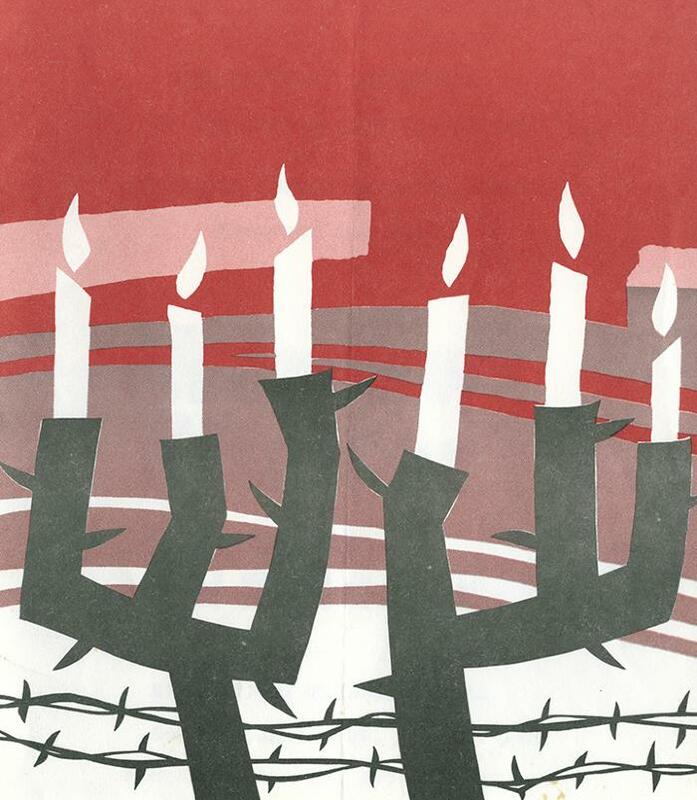 After 2014, Yom Hashoah commemorative events have been organized by staff of the VHEC. Scope & ContentFonds is comprised of records created by Anita Ornstein in her capacity as secretary of the Committee, and those accumulated by previous secretaries. Also included are the records accumulated by Sophie Waldman as a member of the Committee executive. The fonds consists of minutes, correspondence, clippings and publications relating to the activities sponsored by the Committee. Fonds also includes a collection of short articles and publications on topics relating to the mandate of the Committee. Fonds is organized into eight series: Minutes (1960–1986), Committee activities (1964–1988), Subject files (1960–1988), Clippings (1981–1989), Publications (1972–1988), Ephemera (1970–1988), Photographs (1984–1985) and Sound (n.d.). Fonds includes records of the committee when it was known as the Warsaw Ghetto Memorial Committee. Immediate Source of Acquisition or TransferRecords were donated to the Vancouver Holocaust Centre Society by Anita Ornstein in 1990. Previously, records were stored in her home. A second accrual from Sophie Waldman was processed in 1996. System of ArrangementFonds has been described to the file level. Select items have been digitized as media representations of fonds, series and file-level descriptions. Archivist's NoteDescription entered into database from undated paper finding aid on file. File-level scope and content notes added in 2017 by Shyla Seller. Administrative history updated in 2018.